I love Bollywood movies and I love books. 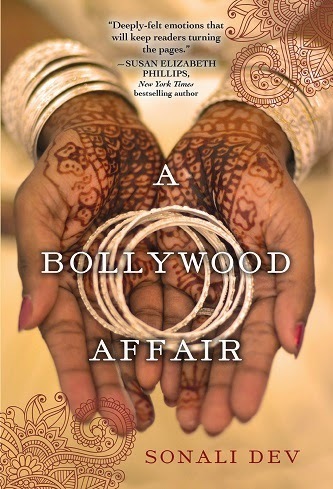 Sonali Dev's A Bollywood Affair brings together both in a delicious read. Seriously, this is like a Bollywood romance in a book complete with drama, pathos, crazy relatives, romance, song and dance. Bollywood movies have ripped hero with an endearing cockiness and heart of gold. He should be able to flash a "tooth paste ad" smile, brood, or smolder at appropriate moments. Samir Rathod, the hero of A Bollywood Affair, is all that and more. Truth be told, I didn't like him when I first met him, but before long I too couldn't resist his charm. The heroine, Mili, is my favorite. Life has dealt her some interesting situations and she's emerged stronger for it. She's spunky, loyal and principled. At the same time she's real -- perky newlyweds annoy her, she generally doesn't like pretty people, and she's not above using emotional blackmail and brow-beating to get her way because she knows what she's trying to get the other person to do is the right thing to do. She reminds me a bit of Don Quixote. Also, she loves food...lol, that made her the sister of my heart. Once Mili and Samir get together on the page, there is no stopping. 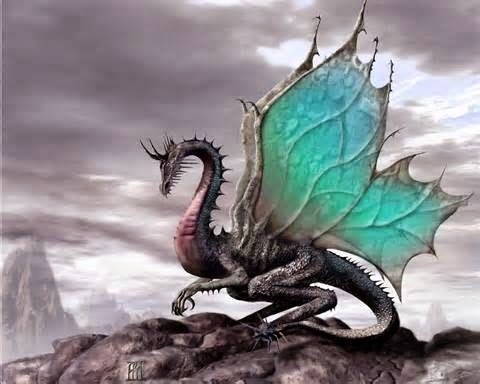 The story takes off and I gladly jumped on for the ride, laughing and crying at all the appropriate places. Family is at the heart of most Bollywood movies and also this book. I loved Ridhi's (the comic-relief best friend) boisterous Punjabi family, I loved Mili's sassy nani (grandmother), I loved the complexity of Sam's family. All Bollywood movies come with a great cast of characters and Ms. Dev didn't skimp in this, which made the book so much richer. I love the way Ms. Dev manages to show that there is not one generalized Indian identity and showcase the diversity of being Indian in her book. Since I grew up on a healthy diet of Bollywood movies, I also enjoyed all of references to old movies and actors. But it's not all fun and games. A Bollywood Affair also deals with quite a few serious matters. Without preaching, Ms. Dev show how traditional practices like child marriages can shape a person's dreams and stunt personal desire. We have this spunky, intelligent woman who dreams of this husband (missing from her life for 20+ years), believes herself to be married and in love, because that's what she's been told over and over again. She's never really had the freedom to truly dream. Through Samir, Ms. Dev shows the weight of duty and obligation, the need to look below the surface. By the end of the book, both he (and the readers) learn that there is no black and white, but a lot of gray as well as the importance of doing the right thing. The story also effected me on a personal level as a first generation immigrant. My heart ached when Mili looked at the sky and remembered her village home, smelled the scent of hot fresh wheat roti and missed her nani's cooking. In other words, I enjoyed this book on so many different levels that it's definitely going on my keeper shelf. "Did everyone who left their country feel this way -- ground between the millstones of courage and cowardice? Or was it just her?" "Mili didn't know what was wrong with Samir. But he had slipped into a full-on-angry-young-man avatar straight out of an Amitabh Bachan film." karecena To our knowledge of many of its best laws in Dar khulacachena so I thought we would add anude adakhana Minh.